With a name like “GetVoIP.Com,” our position on whether businesses should keep their existing PBX infrastructure and service contracts or move to IP PBX is obvious. Regardless of how long you have had your PBX system in place, or the size of your business, you are better off making the switch to an IP-based solution. You may have invested a significant sum in setting up your PBX. But the initial investment is only part of the cost of a PBX. Whether you realize it or not, you are paying for maintenance contracts, phone service, and even the space for the “cable closet.” You may not want to pay for the cost of ATAs and IP phones for an entire office. But, the savings on internal, national, and international calls will absolutely make it worth it. Every recent survey on companies and governments that make the switch to VoIP show a minimum of 10% savings, with the majority of adoptees shaving costs in the 40-60% range. That’s every year. It is very likely that the initial cost of switching to VoIP will pay for itself in five years, and you will continue to reap the benefits every year. If you have an aging PBX system in your closet or basement, then every year, you are seeing your budget go to keeping together something that seems to be set on falling apart. When something fails (and everything fails eventually, even VoIP), you have to get a technician onsite to diagnose and fix the problem. For that period of time, productivity slows to a crawl. Even if only one phone line goes down, that’s one phone line on which no business is getting done. In today’s economy, sadly, employers have to lay off employees as business drops off. In some cases, just as it looks like things are looking up, they drop back down. VoIP is ready for any challenge. Session Initiation Protocol (SIP) has a number of native features, such as SIP Forking, to automatically roll a call over to another phone, another office, or even another country. You can also be proactive. Here’s an example: you anticipate a snow day. You take your IP phone home with you, and plug it into a router when you get home. Your office is closed, but you are getting work done from home using your IP phone and your home computer. 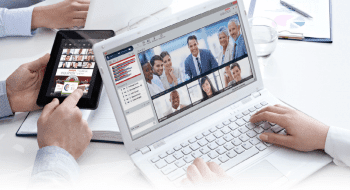 VoIP can scale up or down instantly, with just a click of a mouse. If you are moving, hiring or downsizing, you can reprogram your phones easily to accommodate the change. Even the phones themselves maintain their value on the secondary market. Technology moves fast. Every year there’s a new version of your phone, your computer, your car. When you make the upgrade to VoIP, it’s a huge change. But what about the little changes that happen every year? The new platforms, the latest updates to cloud-based software, the latest conference call technologies? Once you subscribe to an IP PBX, will you be left behind, or have to continue to make expensive upgrades? You might be thinking, what you have has worked just fine for years, why change it now? There are a number of features with VoIP that you just can’t get with your legacy PBX, or if you can, chances are it’d be prohibitively expensive. The most obvious is telepresence, but there are so many more. For example, specialized hospital PBX systems are capable of remote patient monitoring, and even remote diagnosis and assistance via HDTVs and webcams on portable stations. Construction sites can use DECT, Wi-Fi, Bluetooth and 3G/4G wireless technologies to keep every member of their crew connected, and simply move to the next site when they are finished, packing up their phones and antennas right next to their hammers. Coal miners are using VoIP technology to make their work safer by deploying robots to shear rock walls. Even NASA is using VoIP for simulated missions to Mars. Reason Five: Keep Your Old Phone. Keep Your Old Number. Keep Sending and Receiving Faxes. You’ve crunched the numbers and decided that VoIP is right for you. But you’re anxious about changing all the phones in the office. You’re worried about the brand you’ve built up; you don’t want to have to change your phone number. You’ve heard that VoIP may not support faxes. You’re worried about the downtime between the time you sign up and the time you get up and running. These are all legitimate concerns. Did you know that, on average, the time between setting up a VoIP phone and the first call is about three hours? Did you know that when you buy a phone from your VoIP provider it comes pre-programmed to your account? Did you know that you can port a phone number in as little as one business day, for free? You can keep your old phones and only use VoIP to carry your calls (and save money every day) with an Analog Telephone Adapter, which you can buy for as little as $25. Only have one Ethernet jack? Get a Wi-Fi router, it costs less than you might think. Depending on your VoIP provider, you can send faxes with a real fax machine, or have your faxes sent and received over email or directly from your online portal. 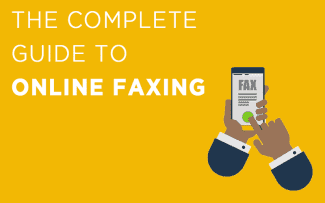 Watch this video to see how you can send a virtual fax in under thirty seconds. 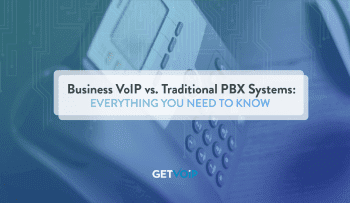 There’s no excuse not to make the switch to VoIP and IP PBX. GetVoIP.com can help you find the best business VoIP provider for you.